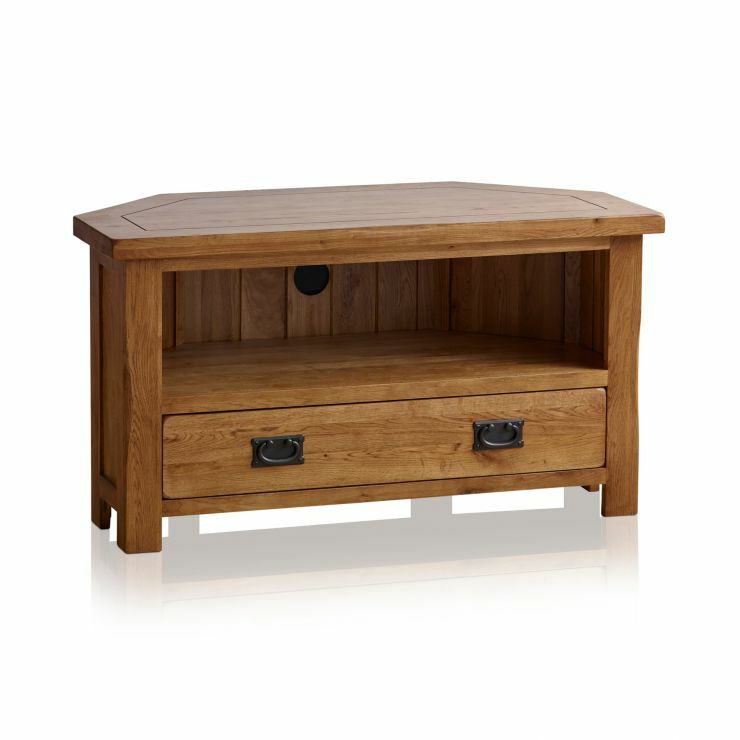 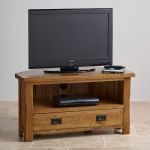 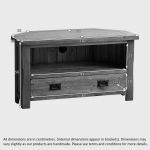 Crafted from A-grade solid oak, this rustic corner TV Unit will effortlessly accommodate your television set and all associated hardware and media. 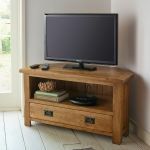 Forming part of our popular Original Rustic Solid Oak Range, the cabinet is defined by a beautifully aged appearance with softly rounded corners, chamfered edges and antiqued handles. 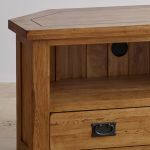 With an extra deep central shelf for any appliances and a roomy drawer for DVDs or games, it's as practical as it is stylish. 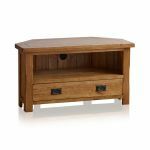 We never skimp on materials at Oak Furnitureland which means no veneers, no chipboard and no MDF. 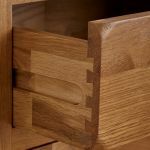 The drawer is solidly built using traditional dovetail joints and wooden runners to ensure a lifetime of reliable use. 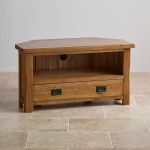 Take a look at the rest of the Original Rustic Solid Oak range to discover beautifully matching items of traditionally stylish rustic furniture.